With specific emphasis on Art Museums, Gardens & Parks, Science, History & Children’s Museums, and other Nonprofits, Daniller + Company has provided services exclusively to non-profit organizations since 1999. To ensure that your organization gets the in-depth attention it deserves, we maintain an expert core leadership team that directs more than 20 fundraising professionals—copywriters, production coordinators, and reporting and analysis staff. Mae Daniller has established specialties including development and membership campaigns, organizational assessments and strategic planning for membership and annual fund growth. Daniller + Company evolved out of Rove + Company, a premier consulting firm that served for more than 20 years as a fund development and direct mail consultant to more than 50 non-profit organizations, as well as numerous political campaigns. Mae served as Vice President of Rove + Company and was the main architect of its non-profit client division. Mae previously served for eight years as Director of Development and Marketing at the National Wildflower Research Center (now the Lady Bird Johnson Wildflower Center), where she architected and increased its membership program from 600 to 25,000+ members. Her extensive track record as a successful development professional combining motivational skills, clear planning and results-oriented fundraising provides valuable experience to her clients. Together with her performance in managing award-winning communications programs, Mae brings creative insight and expertise to every project. Considered by her peers to be one of the top membership consultants in the nation, Mae is a sought-after speaker at national professional conferences including the American Association of Museums (AAM), Art Museum Membership Managers Conference and the annual AFP/DMAW Bridge Conference in Washington, D.C. Mae is a member of the Austin chapter of the Association of Fundraising Professionals, as well as the Association of Direct Response Fundraising Counsel, American Association of Museums, the American Public Gardens Association and the Alliance of Non-profit Mailers. Mae is a graduate of the University of Cape Town, South Africa. Prior to moving to Austin, she was the Publications and Curriculum Manager at Stanford University, California. When she’s not busy being creative for clients, you’ll find her creativity extended to her friends and family through her culinary skills. She also enjoys digging in the dirt in her native plant garden—in the company of Shiloh, her fabulous Samoyed. Martha joined the Daniller team in 2000, working to promote high returns for clients. Her background in marketing, combined with her in-depth knowledge of list strategies, audience segmentation and analytics, ensures Daniller + Company’s clients achieve maximum fundraising results. Her career with non-profits started with service as a board member and volunteer for several well-known organizations in Austin, Texas. Martha has served on the boards of the Junior League of Austin and the Settlement Home, chaired the S’more Soiree for the Girls Scouts of Central Texas and served on the Gala Committee for the Long Center. 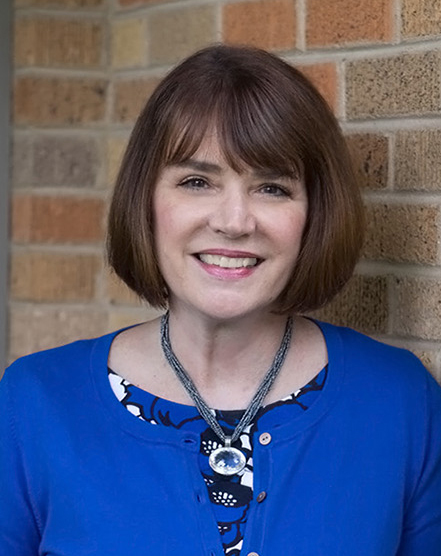 Martha’s background as a volunteer and board member, combined with her extensive experience in marketing and sales, provides an effective platform to work effectively with non-profit organizations to build successful membership and annual giving programs. Martha frequently speaks and leads discussions on list strategy and direct marketing techniques for local and national organizations. Prior to joining Daniller + Company, Martha was a leader in international sales and management with Marinex International and with Procter and Gamble where she developed and managed key accounts. Martha is a graduate of Southern Methodist University with a degree in business. She earned her MBA in Marketing from St. Edward’s University, where she was honored as a member of Delta Mu Theta. She earned her designation as a Certified Fund Raising Executive (CFRE) in 2006. Martha and her husband Cliff Ernst are actively involved with the vibrant arts community in Austin—as patrons, performers and general lovers of being out and about. Parker’s background in advanced analytics and strategy consulting ensure that Daniller + Company clients benefit from the innovative go-to-market and data science strategies employed by the nation’s leading private and public sector organizations and from the non-profit industry’s best practices. His responsibilities include campaign reporting and analysis, program assessments and membership strategy development. Parker often serves as an external analyst and strategist for our clients’ membership programs, working closely to deliver actionable insights from program and membership-appeals data. 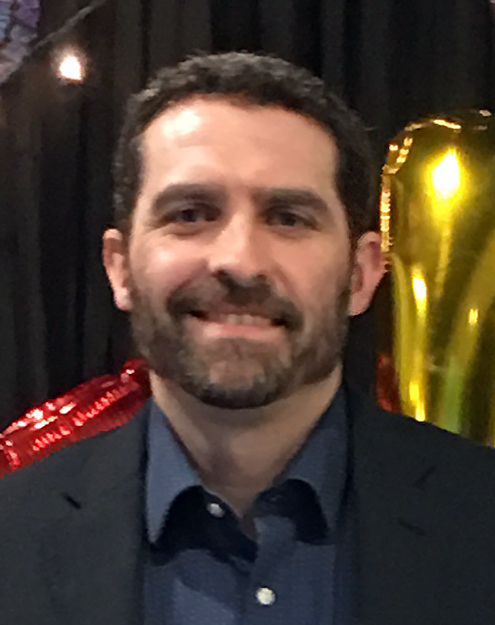 His recent work includes leading a membership program assessment for the Guggenheim Museum, conducting a fiscal year income forecast for the Phi Beta Kappa Society and developing retention strategies for the Scott Family Amazeum. 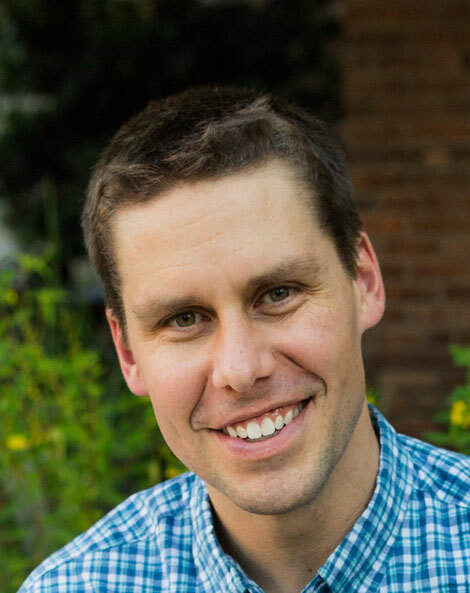 Prior to joining Daniller + Company, Parker worked in the management consulting industry for McKinsey & Company and Deloitte Consulting where he supported clients in market strategy, stakeholder engagement and advanced analytics and forecasting. He has a master’s degree in economics and bachelor’s in economics from the University of Georgia. When he’s not diving into client data, you can find him at a park or museum with his wife Valerie, son Jack and dogs Poe and Charlie. Suzy brings insight and creativity to the special challenges faced by small nonprofits as well as visitor-based institutions. Her experience, imagination, and in-depth knowledge is what gives Daniller + Company’s clients an edge in achieving their fundraising goals. 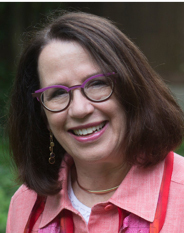 Suzy’s extensive work in membership, multi-platform marketing, communications, visitor services, volunteer coordination, and fundraising for annual and capital campaigns has helped raised tens of millions of dollars and wide public awareness and support for a range of non-profit organizations. Prior to joining Daniller + Company, Suzy served as Development Director for Wonders & Worries, where she was responsible for the creation of the development and communications divisions for the start-up non-profit. She was Director of Development and Marketing for the Bob Bullock Texas State History Museum, where she helped launch the $80 million Museum and managed all development, marketing, special events and visitors’ services efforts for the institution’s first three years. She earned extensive hands-on experience as the Membership Manager at St. Louis Science Center and in multiple development and visitor services roles at the Memphis Zoo. She lives in Austin with her journalist husband Kevin and two active children. Adam joined the Daniller team in May 2016. Though involved in all aspects of his client’s projects, his efforts are chiefly focused on the creative side. He enjoys the collaborative process and thrives on creativity and building successful relationships with clients, vendors and co-workers. Adam graduated from Millsaps College with a degree in Psychology. He spent a few years dabbling in the world of independent bookstores, learning just about everything he could about that world, before moving into and spending most of his career in the Pharmaceutical industry. Adam’s varied work history and interests are his greatest assets. He’s proud to consider himself “well-rounded,” striving to utilize his multi-faceted experiences, interests and personality to deliver not only a great product, but a great experience for his clients. When he’s not in the office, Adam and his beautiful wife, Erica, can be seen chasing their three young children around Austin and the surrounding areas. When time allows, he’s a reader, writer, film buff, crazy sports fan and first-edition book collector. 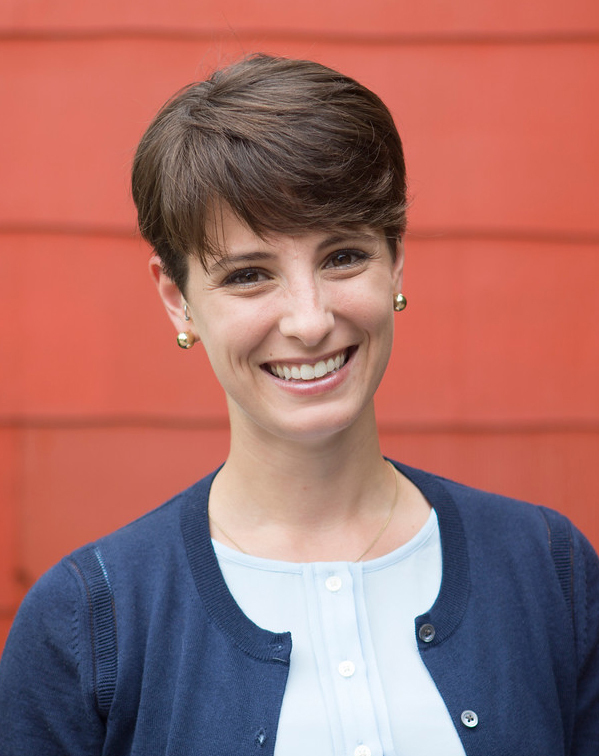 Caitlin is a Project Manager at Daniller + Company, working with clients to create high-performing projects that best represent the organization and achieve maximum campaign results. She uses her wide-ranging experience to be hands-on during all phases of her clients’ projects, from strategy and scheduling to coordinating project development, managing production and working with the analytics team on campaign reporting and analysis. Since joining Daniller + Company in 2014, Caitlin has gained deep experience in setting up and managing clients’ membership renewal and upgrade programs, helping them to efficiently maintain a steady source of income for their membership programs. 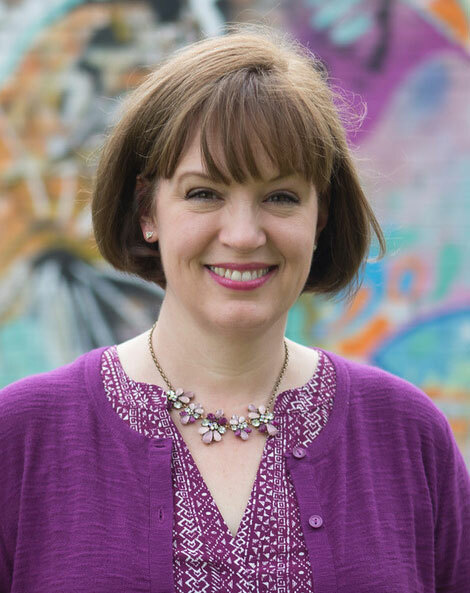 Her passion for non-profits and the arts aids her in working with a wide spectrum of clients, including the Guggenheim Museum and Foundation, the Atlanta Botanical Garden and Caritas of Austin. When not at the office, Caitlin can be found exploring the wide variety of food and activities the city of Austin offers, volunteering with local organizations around the city, or quilting at home with her tri-pawed Great Pyrenees, Llama, and orange tabby cat, Birdie. Sara Jane provides a personal touch when working with clients to launch new projects, serving as their go-to person to answer questions, problem-solve and to disperse critical information to everyone touching the project. She works closely with designers, copywriters and her colleagues to ensure client needs are met correctly and on time. 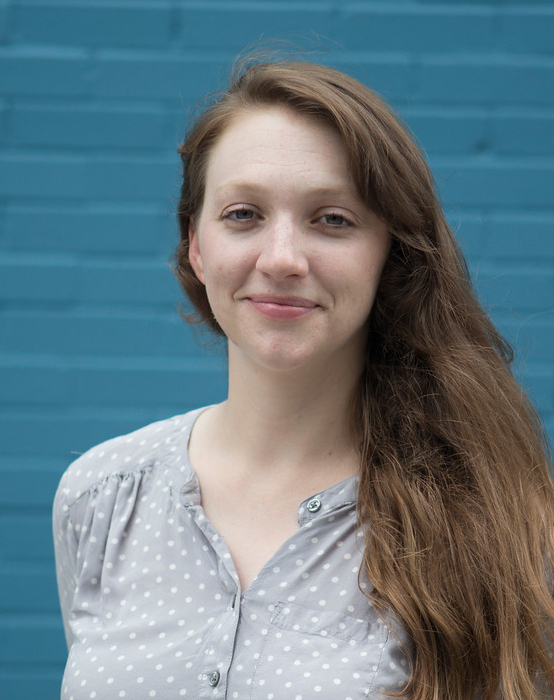 With enthusiasm for deadlines and to-do lists, Sara Jane also manages schedules for copywriters and designers, making sure the right team is collaborating for a project in a timely manner. Sara Jane works with a variety of clients including the National Museum of Women in the Arts, The Franklin Institute, The Nelson-Atkins Museum of Art, Brooklyn Museum, Carnegie Museums of Pittsburgh and the National WWI Museum and Memorial. Prior to joining the Daniller team, she worked in fundraising and development for nonprofits like Invisible Children and the American Cancer Society. Outside of work, Sara Jane enjoys volunteering and spending time outdoors. You might find her taking a yoga class, playing fetch with her two springer spaniels, or drinking coffee and reading a good book. Chris handles a variety of duties, from ordering office supplies and maintaining files to organizing company activities to proofreading many of the materials that will go to print for our clients. She is also responsible for writing lettershop instructions and for ensuring client mailings are produced, packaged and mailed according to specifications. 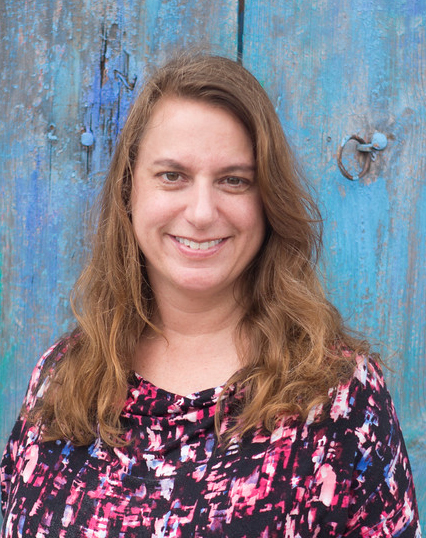 Prior to joining Daniller + Company, Chris worked in San Diego in publishing and as a bookkeeper where she applied her attention to detail to numbers. With a degree in journalism and English, Chris was extremely happy for the opportunity to join Daniller + Company, returning to her first love, the world of the written word. When she’s not working, Chris enjoys music, reading, going to the gym and spending time with her family. Beth focuses her efforts on managing clients’ data files including direct mail campaigns. She is responsible for coordinating external rental and exchange lists, analyzing client data and managing the mail merge process from start to finish. Beth ensures the mail merge process is completed according to schedule, performing quality control measures to validate data accuracy. Beth manages the direct mail campaigns for many of Daniller + Company clients, with recent projects including the National Museum of Women in the Arts renewal program and The Jewish Museum upgrades. She works closed with data providers, performing ad hoc marketing data analysis for quality control. Her direct marketing experience ensures clients are receiving high quality mail data files essential for a successful marketing campaign. 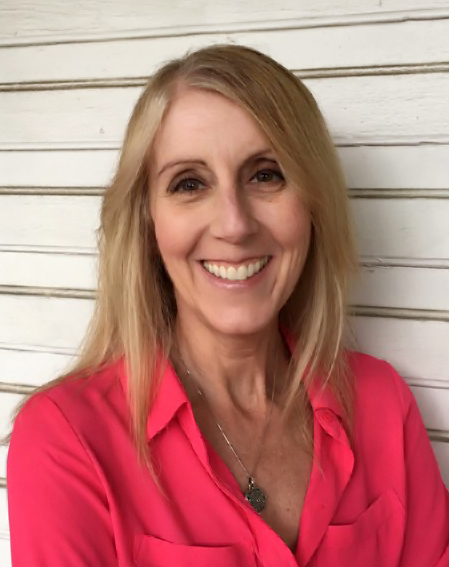 Prior to joining Daniller + Company, Beth managed the direct marketing catalog program at Golfsmith and most recently worked for Conclusive Strategies as a Marketing Analyst. At Conclusive she consulted with clients to create marketing analytic tools, analyze responses and develop strategic marketing plans. She has her bachelor’s degree and her MBA from Kent State University. She is a Girl Scout leader for her teenage daughter’s troop and is often on camping trips with the troop. She loves to read, travel and enjoys live music. You can often find her taking her fur babies Luna and Ozzy for long hikes. 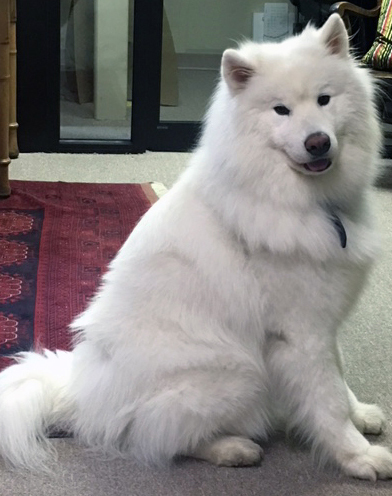 Quad-pawed, beautiful Shiloh is a three-year-old Samoyed and member of the Daniller family. His magnificent thick, long white coat is the envy of both humans and canines. This peaceful, frequent workplace companion wanders [mostly] quietly from office-to-office on a constant quest to find the perfect resting spot or until someone gives him his favorite treat – an ice cube. Smart and the eternal people-pleaser, Shiloh’s gentle nature has a calming effect on the flurry of activity present on any given day at Daniller + Company.